Experience the art of handmade in this one hour session at the Glass Artisans Studio & Gallery on the Cabot Trail. Try glass blowing lessons daily from July to September for $100/hour and bead-making classes from July to October for $50/hour. Book your experience in advance and receive additional information. 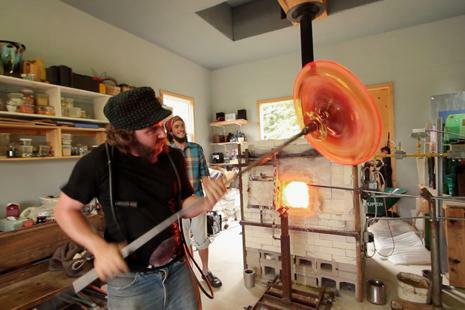 Every evening at 5pm or 6pm the artisan will provide glass blowing demonstrations. New this year is the addition of the recycle furnace for melting recycled glass and sand casting using Cape Breton beach sand.